It's time for some good clean fun with these upscale kitsch decor pieces celebrating the art of ''Polynesian Pop!'' You'll understand why they were called ''the party gods'' as the designer resin Tiki statues help invoke the bohemian lifestyle, and add a playfully primitive attitude to even your most ''civilized'' celebrations. These exotic sculptures serve up some Polynesian style as warm as their South Seas home. 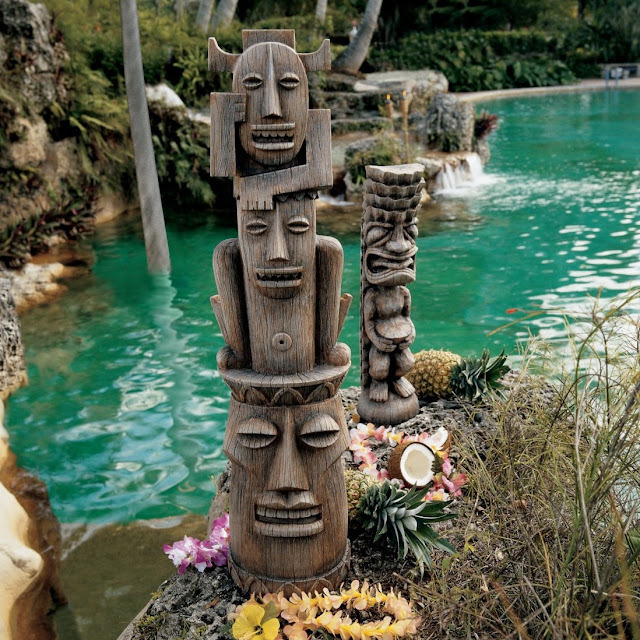 These tiki statues are cast exclusively for Design Toscano in wood-grained designer resin for home and garden. Hand painted, Cast in quality designer resin.